Now that Ben is a professional crawler, he’s completely on the move, which means he’s into things and putting other things in his mouth. 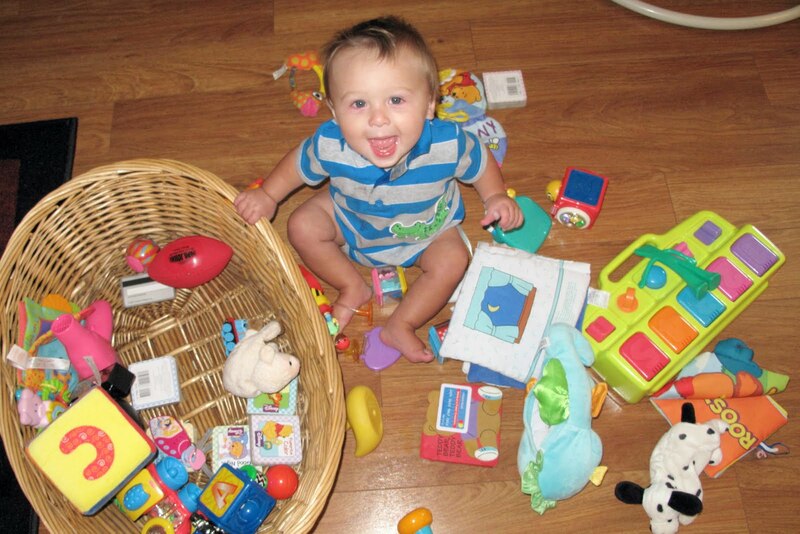 See that basket of toys? Yeah, he can drag it across the floor and then empties it one toy at a time, taste testing each one. In the last few days, I have pulled out of his mouth a plastic string from a pom-pom, a pink bead from a bracelet that broke months ago, a plastic hair rubberband and a soggy Cheerio. Then yesterday we were unsuccessful in rescuing something [Greg suspects it was a string.] from his drooling mouth.